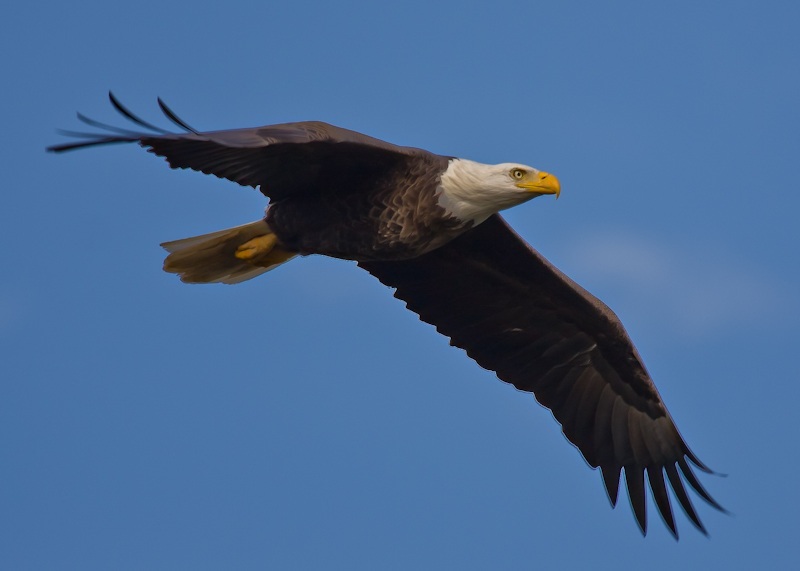 SQL Server codename “Denali” CTP3 has been released to the public after much anticipation. You may ask yourself, “What happened to CTP2?” The answer is simple. It was a private build for MVPs and some Microsoft partners. By private, I mean it was not released to the general public. The good news is that you did not miss much in CTP2. A lot of areas were incomplete or not working. But that is to be expected as it is a work in progress. This blog post will serve as a means to gather resources such as links and blog posts regarding SQL Server “Denali” CTP3. Check back soon as I will be adding new resources. If you have a blog post about SQL Server Denali CTP3 please pingback or email me to add it to the list. The SQL Server code name “Denali” CTP 3 Feature Pack is a collection of stand-alone packages which provide additional value for Microsoft® SQL Server® code name ‘Denali’ CTP 3. It includes the latest versions of tool and components an add-on providers. SQL Server Team: SQL Server Code Name “Denali” CTP3 and SQL Server 2008 R2 SP1 are HERE! SSIS Team Blog: Matt Mason – What’s new in SQL Server Denali? 9/25/2011 Added SQL Server DENALI CTP3 Demo VHD download link and description and Technet Wiki Project Crescent overview. The report preview failed because the report could not be built. Read the errors, warnings and messages in the Error List window for specific build failures. 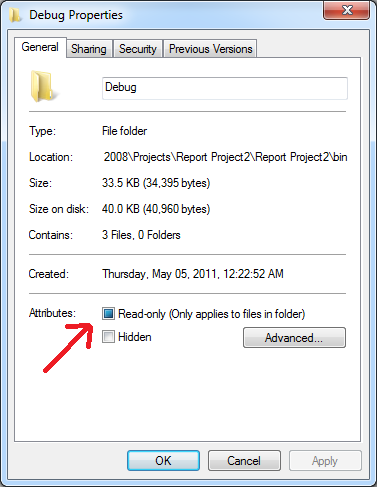 The workaround is to uncheck the Read-only attribute checkbox for the entire Debug folder or simply delete the Debug folder. BIDS will recreate this folder when you click on the Preview tab. If I come up with the root cause of this issue I will update this post. SSRS errors: (rsReportServerDatabaseUnavailable) The report server cannot open a connection to the report server database. While the error is descriptive enough to let you know that Reporting Services could not find the report server database, it may be a challenge to some who have no idea where this database is and what is it used for. To your surprise, there is more than one database involved. In short, the Report Server database is needed to store report definitions, report history and snapshots, report models, shared data sources, resources, scheduling and delivery information, metadata and several other objects. ReportServerTempDB is where Reporting Services stores session and execution data, cached reports, and work tables that are generated by the report server. For more information about Reporting Services database visit: http://msdn.microsoft.com/en-us/library/ms156016.aspx. What is the SQL Server Reporting Services instance you are trying to reach? Where are the SQL Server Reporting Services databases hosted? 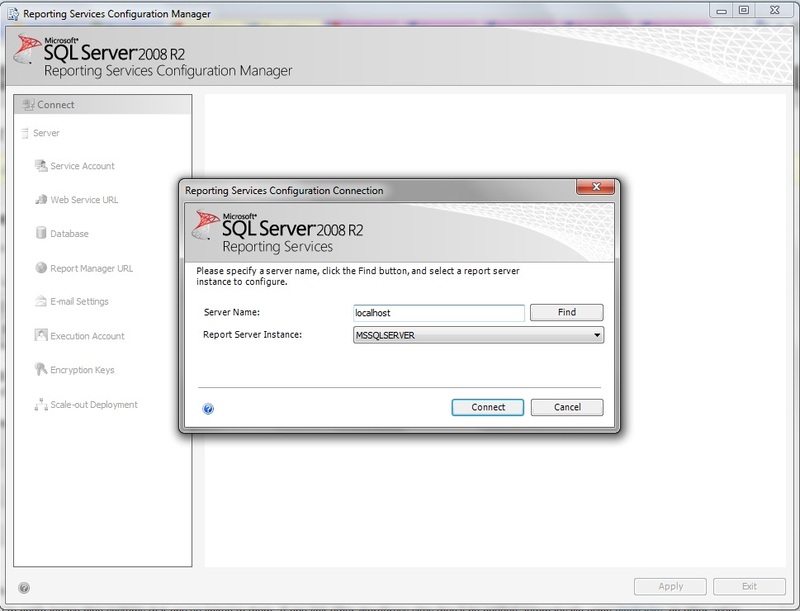 Once you connect to your Reporting Services instance through Reporting Services Configuration Manager, go to the Database tab located on the left pane to view the name of the SQL Server instance where the ReportServer database is being hosted and the name of the ReportServer database as seen in the image below. 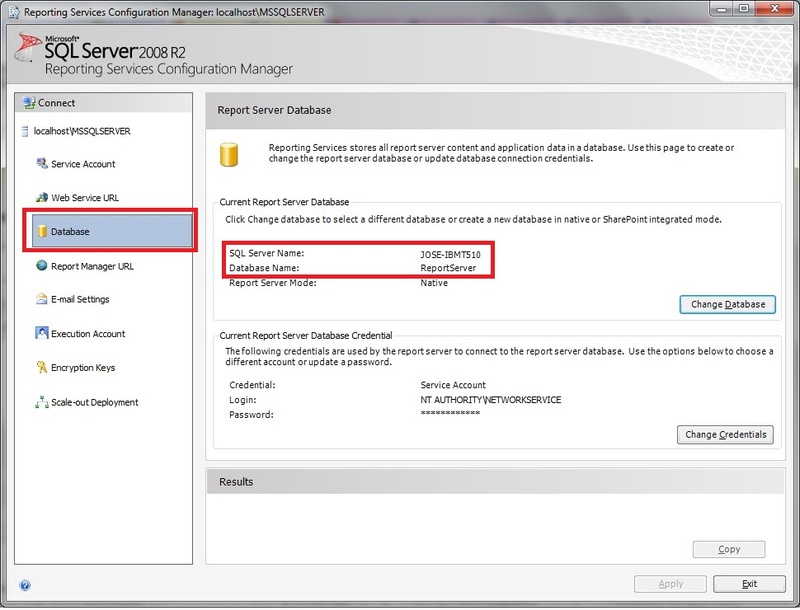 Keep in mind that in some environments the ReportServer database may be hosted in a separate SQL Server database instance and the ReportServer database may have been renamed to other than the default “ReportServer” database name. You will usually find this type of configuration in a scale-out architecture. For more information on scale-out architecture visit: http://sqlcat.com/technicalnotes/archive/2008/06/05/reporting-services-scale-out-architecture.aspx. Is the SQL Server database instance running? Is the SQL Server service started? Can you verify connectivity to the SQL Server database instance? Are the ReportServer and ReportServerTempDB databases attached and online? Does the Reporting Services service account have read/write access to the ReportServer and ReportServerTempDB databases? Once all of this is verified to be true and issues have been fixed, than the last step would be to restart the Reporting Services instance. If everything is right you should be able to access your reports. It is highly recommended to frequently backup both the ReportServer and ReportServerTempDB databases. If you lose you ReportServer database you may re-deploy reports, data sources and datasets, but you will lose all subscriptions, schedules and report parts that users may have created. As I announced on my 2000-2010 a Decade in Retrospect blog post I have joined the ranks at Pragmatic Works and started my first day today. I’m excited to join such a great professional team, full of experts in the SQL Server and Business Intelligence field. There is no waste of time here. Lots of engagements from the get go. Less than an hour at work, I got in my first brainstorming session. An hour later I have been assigned to two client engagements I will be involved with during the next few weeks. I will also be involved with the Virtual Mentoring services. If you have purchased Virtual Mentoring hours from us, I might be giving you a call soon! 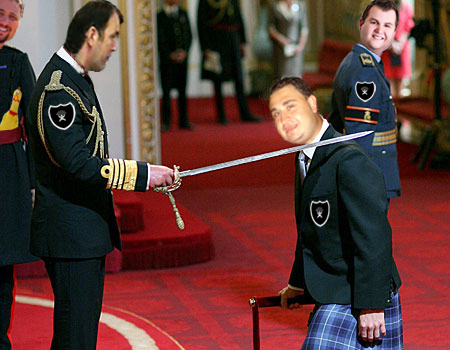 The atmosphere here at the new offices is laid-back and you can feel a sense of teamwork from all of the guys. If you are looking to make a career move, Pragmatic Works is your best choice. Lots of expansion going on, great carer opportunities and lots of expertise in-house to tap into. We will jumpstart 2011 with the first SQL Saturday event of the year in Tampa, FL on January 15th, 2011. SQLSaturday #62 is a joint effort between the Tampa Bay SQL Server User Group along with the Tampa Bay Business Intelligence User Group, its volunteers, members, speakers and sponsors. I’m fortunate of co-organizing the event with one of the most experienced User Group leaders and SQL Saturday organizers, Pam Shaw (Twitter | Blog). It is great to have a mentor such as Pam and learn from her past experience organizing this type of events. 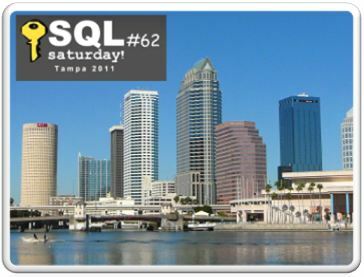 This will be the 4th SQL Saturday organized in Tampa. It will be held in an area of Tampa known as Ybor City (wiki) with a lot of Spanish, Cuban and Italian influence. As with previous years, we will be providing awesome Spanish food for lunch. This year we will also have two paid pre-conferences for the SQL Server/DBA track and Business Intelligence track the day before SQL Saturday on Friday, Jan 14th. So why not come down to Tampa? SQL Saturday #62 has so many great speakers and sessions. We had over 45 different speakers who submitted more than 75 different sessions. The list was narrowed down to fit the number of rooms and time slots available, giving opportunity to new speakers as well as seasoned speakers and MVPs. Abstract: This session will be a two part session in which we will be focusing on two of the biggest topics in the DBA field, how to properly design your storage and virtualization solutions. Abstract: This session will cover the basics of ETL using SSIS, a deeper focus on mutl-dimensional cube design using SSAS, effective report design using SSRS and an introduction to PowerPivot ad-hoc analysis. Yes, free! No strings attached. All expenses for Saturday sessions are covered by event sponsors and volunteer time and effort by speakers, organizers and user group members. At SQL Saturday you have the opportunity to create new friendships, establish professional relationships with other professionals, meet your rockstars and if you are on Twitter, get to meet the source of some of those odd and funny tweets! You have a full day to hunt down and stalk your rockstars, enjoy a casual over lunch conversation or have more deep conversations over a drink at the after party! Show off your talent at the SQLSaturday after party. SQL Karaoke is a must-do event for everyone. Sing along with some of the SQL Server professionals for good’ol fun. We will have our after party at Rock-N-Sports Bar & Bistro at Centro Ybor. We will be providing free lunch and back by popular demand we will be delighting you with Spanish/Cuban cuisine! Escape from the cold weather and come down to Tampa. Enjoy a weekend in Ybor City, visit Busch Gardens, or take a trip to the beach. Looking for a job or planning a career move? Kforce representatives will be on site to talk about several job openings in the area and nationwide. Make sure to visit their booth. 10) Get your Swag on! As an attendee you will receive a bag full of free swag from our sponsors and raffle tickets for a chance to win netbooks & other electronics, software licenses, training vouchers, books, etc.